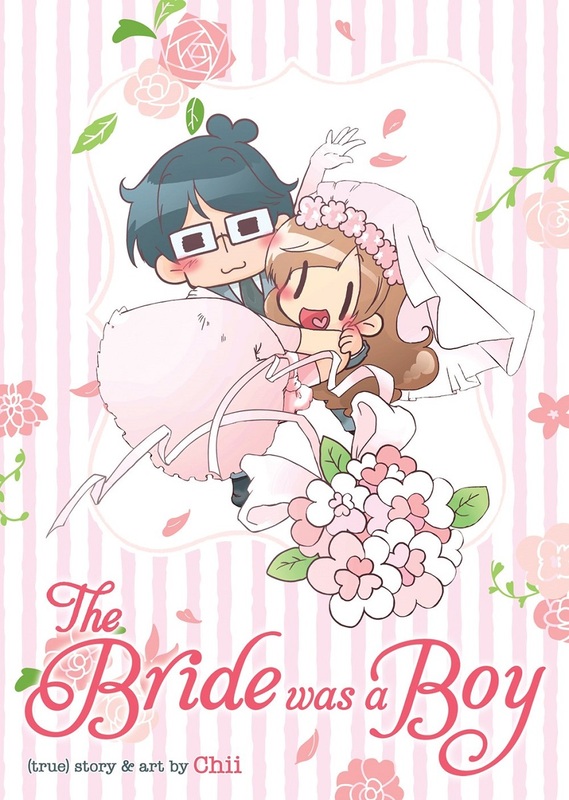 The Bride Was a Boy features story and art by Chii. 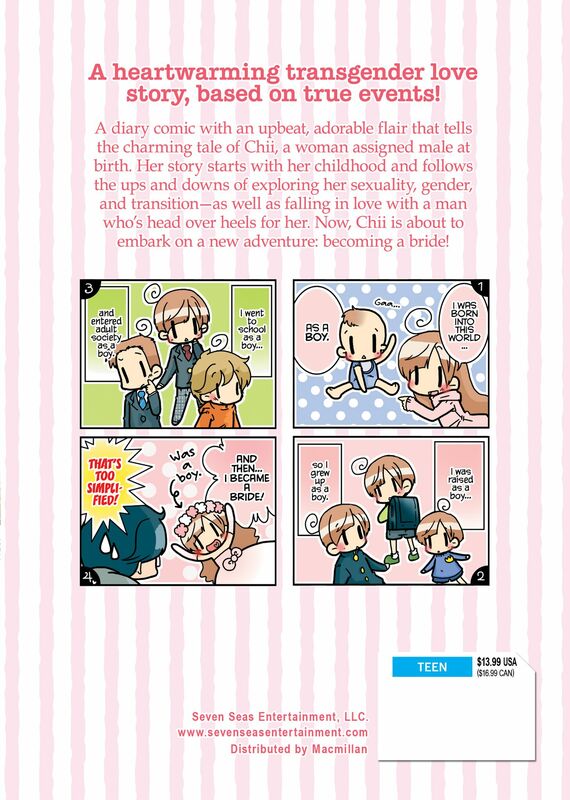 Drawn in the style of diary comics with an upbeat, adorable flair, this is a charming tale about Chii, a woman assigned male at birth. Her story starts with her childhood and follows the ups and downs of exploring her sexuality, gender, and transition—as well as falling in love with a man who’s head over heels for her. Now they want to get married, so Chii’s about to embark on a new adventure: becoming a bride! Fantastic. A guide about the LGBT Community. This manga was incredible. If you are interested in looking into the LGBT community and have some questions answered give this one a look. Although this one tells the tale of a boy who wanted to be a girl and about her transition over to her correct Gender. What i love most about this book is it gives a slight comedic/light hearted look into a community that is heavily prejudiced against, Giving facts about how to get started if you are planning to transition, the laws that go with it, and general questions that are asked. All while the author (this is a true story) tells her story about how she went from a boy, to a girl, to a wife. This book hit extremely close to home as I am also having these feelings, and going through the motions of being a transgender. I especially recommend this book if you are having these feelings. As it has given me a direction to at least take the first steps to seeing if this is what i want to do. Cant thank the author enough for sharing her story.